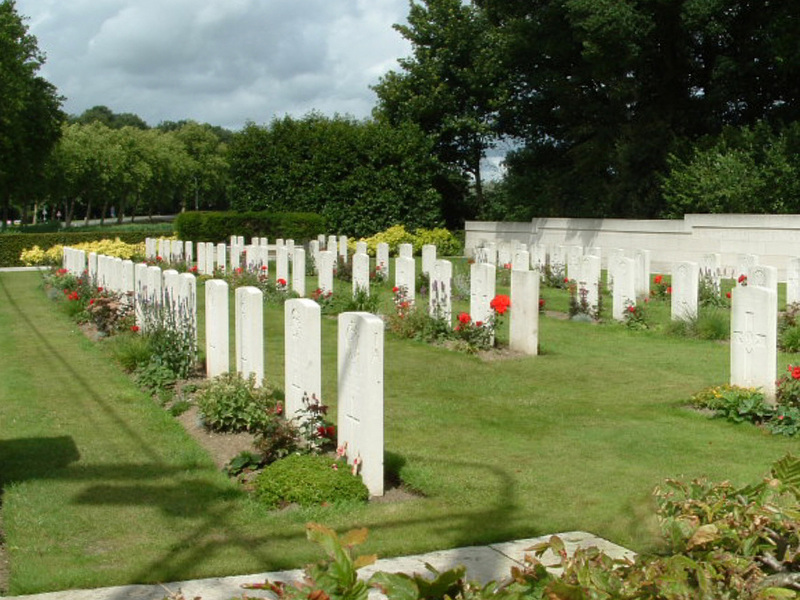 Executed for desertion at Hope Farm on the northern edge of Ploegsteert Wood on the 7th December 1916. 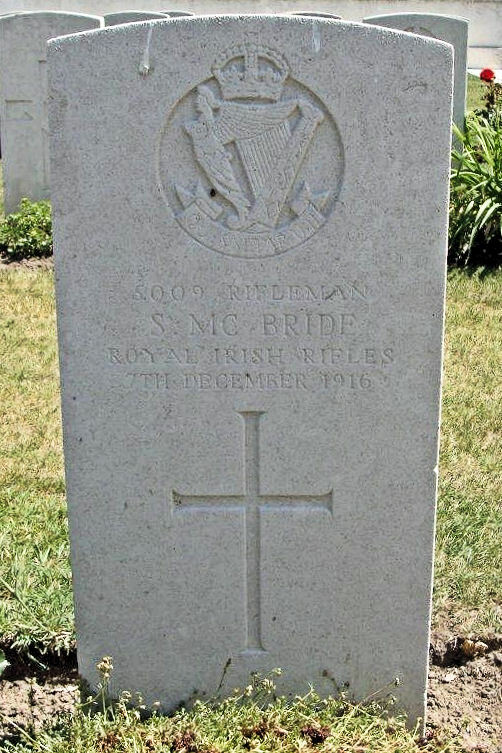 Rifleman McBride had been sentenced to 2 years imprisonment with hard labour on the 25th January 1915 on a charge of desertion (having served with the B.E.F. since 6th December 1914) but was released on suspension on 3rd January 1916. Whilst the Battalion was in the Vimy Ridge sector in May 1916 Rifleman McBride went absent when his platoon were resting in a reserve position about 800 yards behind the front line. The men had been subjected to heavy fire especially from German trench mortars. On the 17th September 1916 an N.C.O. of No 2 Canadian Stationary Hospital apprehended the Rifleman at Outreau near Boulogne the Court Martial taking place on the 25th November 1916.